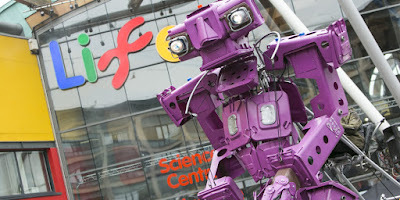 Win tickets to the Maker Faire UK at Life Science Centre - this weekend!!! The Maker Faire UK is back at Life Science Centre this weekend (23rd and 24th April). Expect an inspiring weekend packed with science, technology and engineering. Highlights will include a real space rocket, a ‘battle of the drones’ some chainmail clad performers dancing with electricity and football playing robots. How fantastic! 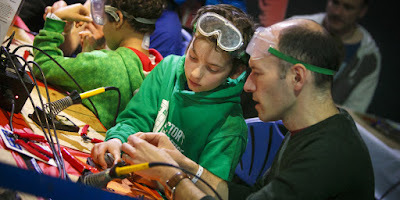 The two day event will have something for all aged from traditional crafts to hi-tech hacks. The atmosphere is one of collaboration, sharing and experimenting, where you’ll try new things, deepen existing knowledge and have lots of fun! Be prepared to be inspired and don’t be afraid to get stuck in! There will be over 300 crafters, coders, DIYers and garden shed inventors from across the globe – people who love to make stuff and who want to share their passion with the public. 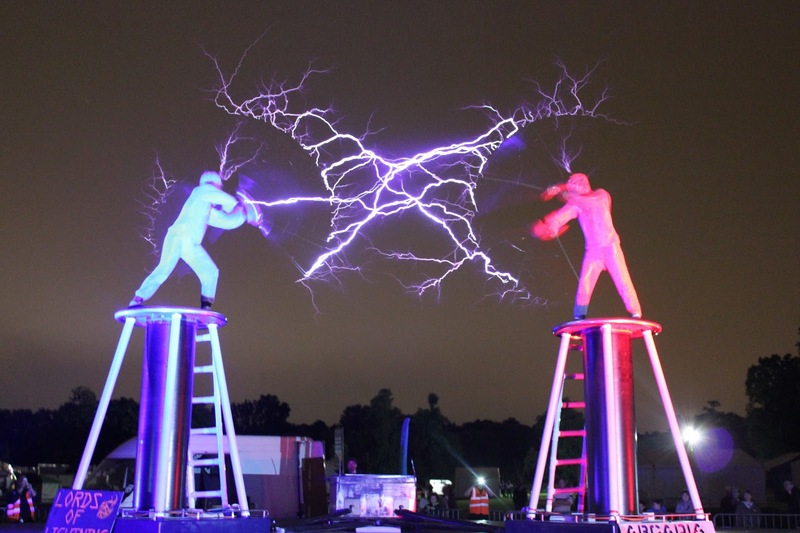 This year, headliners include Glastonbury favourites, Lords of Lightning, who will bring added spark to the event with their electrifying performances featuring animated metal structures and the odd bolt of lightning! They will be joined by Dominic Wilcox and his Stained Glass Car - demonstrating the transport of the future and attendees may well recognise Jason Lane’s Mechanical Sound Sculpture from the closing ceremony of the 2012 Paralympics. During the weekend there will be a series of talks by some big names in the Maker Movement including Sherry Huss, co-creator of Maker Faire who’ll be talking about how making can change your mind and Carol Davenport from Northumbria University’s Think Physics who’ll be exploring how we can develop the engineers of tomorrow. You can buy tickets and find out more about Maker Faire 2016, as well as check out a full list of makers at www.makerfaireuk.com. Extra charges may apply for some workshops and activities. Children aged 4 and under are entitled to free entry when accompanied by a paying adult. Over 350 Makers will be presenting their projects this weekend. 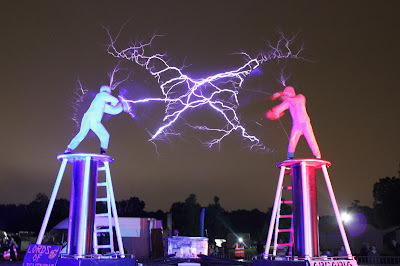 See what happens when science meets street theatre in the outdoor arena as Times Square is filled with everything from science busking to musical performances. Taking centre-stage will be the Lords of Lightning. It wouldn't be Maker Faire without lots of opportunities for visitors to get their hands dirty! Visitors will be able to try their hand at all things from crafting to live coding. There'll be sessions on soldering and chances to make bunting, badges, jewellery and just about anything else you can imagine including monster pancakes! Hear from some big names in the world of making. Among them, Vinay Gupta, futurologist, digital currency expert, inventor and self-proclaimed “global resilience guru” will be talking about the Political Internet: Bitcoin, Bitnation and what’s next. Lilian Kasem Technical Evangelist at Microsoft will talk about the Satellite Inventors Kit for the BBC micro:bit and how it’s inspiring the next generation of scientists and engineers. Terms and Conditions:- The prize is for ONE family ticket (1 adult and 3 children or 2 adults and 2 children) to the Maker Faire 2016 at Newcastle Life Science Centre on either 23rd April 2016 or 24th April 2016 worth £28 (winner can select which date is most suitable). One winner will be randomly selected from all valid entries. There is no cash alternative and ticket is non-transferable. Travel and any extras are not included. Competition closes at midnight on Thursday 21st April 2016 and the winner will be selected and notified on Friday 22nd April 2016.